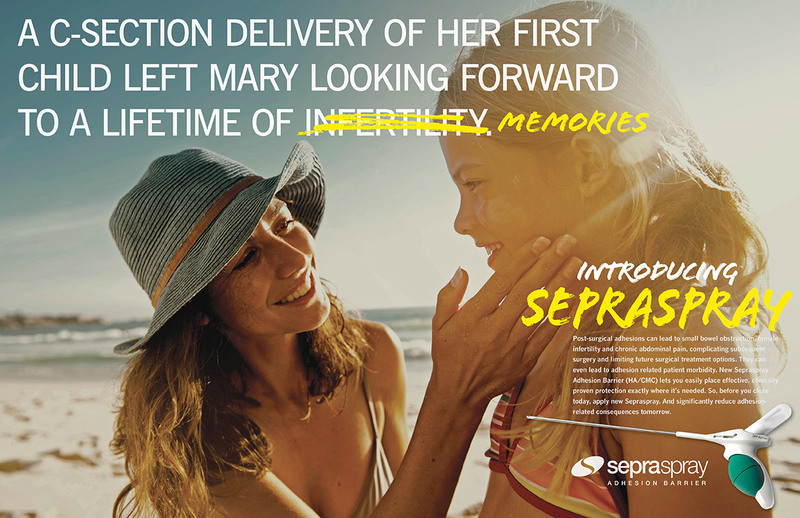 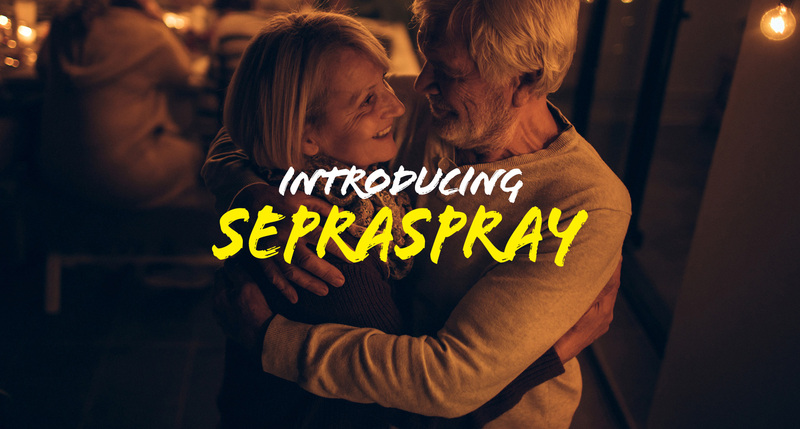 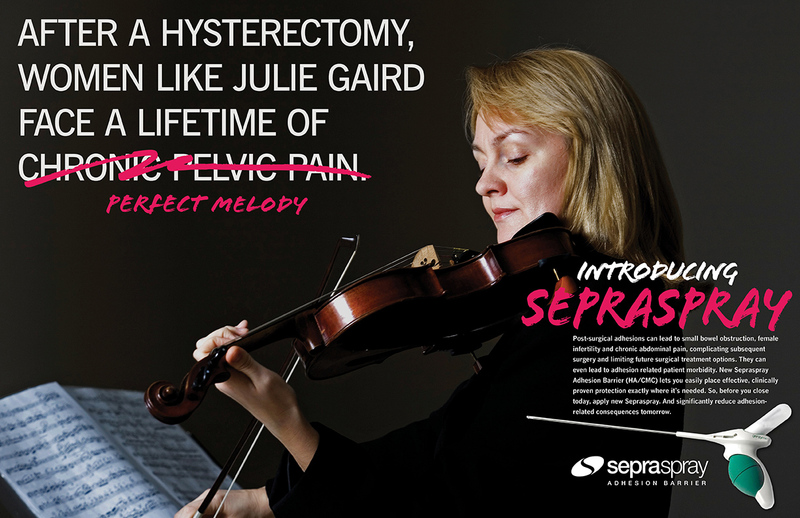 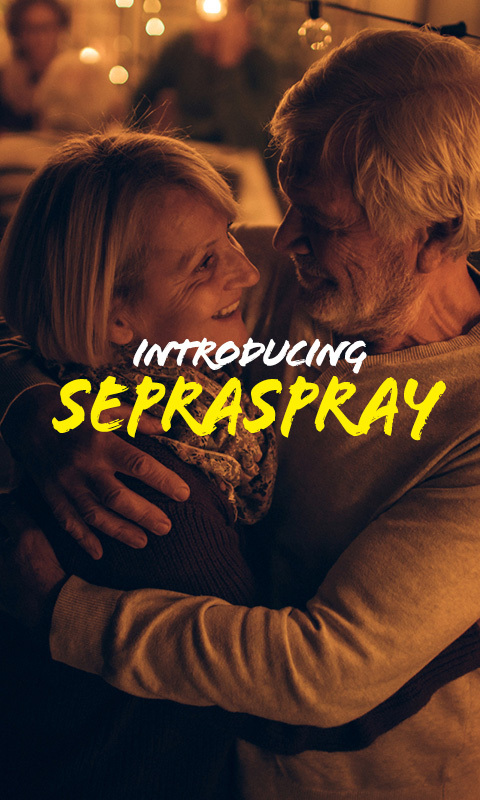 An instrumental tool in preventing post-surgical adhesions, the Sepraspray Adhesion Barrier enables medical experts to precisely protect patients from risks such as small bowel obstruction, female infertility, chronic pain, and even morbidity. 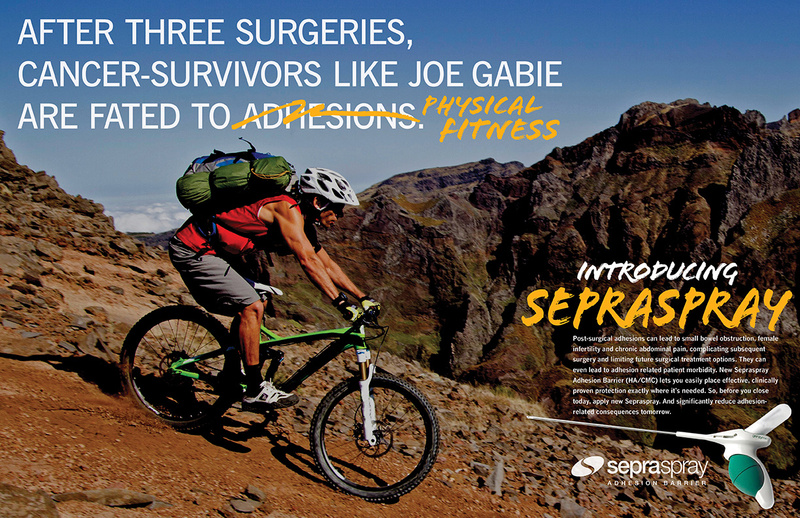 Our conceptual ‘Life After’ campaign defies the banality of medical and pharmaceutical advertising, depicting individuals enjoying healthy, active, and productive lives via a striking, lifestyle-themed execution. 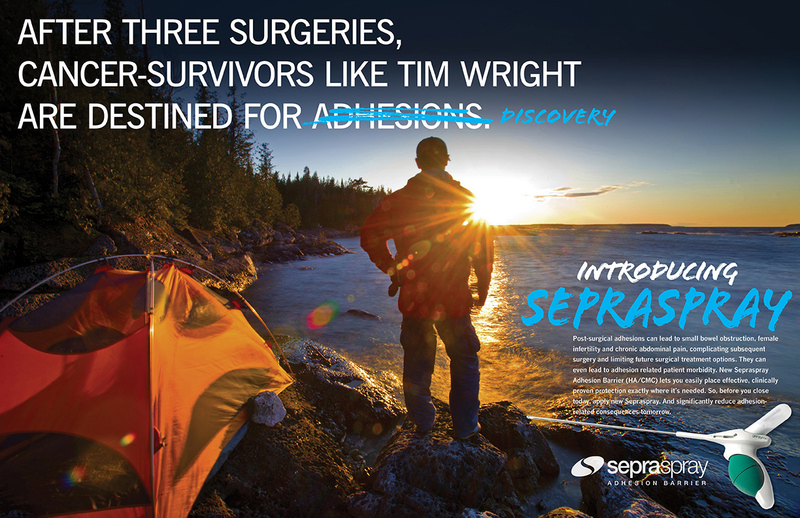 Completed in conjunction with Big Arrow Group.